How about a getting a massage every day? A PRO-ROLLER® foam roller and the PRO-ROLLER Massage Essentials guide are your key to tension release, flexibility and relief from post-exercise soreness. Everything you need to start rolling out those stiff muscles and irritating trigger points. Relieve tension and improve your flexibility, posture and muscle function. The PRO-ROLLER® Massage Essentials book, by Angela Kneale, OTD, MA, OTR/L, NBC-HWC, shows you how to target specific areas of tightness or tenderness and how to control the amount of pressure put on each region. Illustrated. 52 pages. The green, standard-density OPTP PRO-ROLLER is built to outlast and outperform store model foam rollers. They stand up to the heavy use and abuse from clinics and busy Pilates studios. For the home user, this could be the only foam roller you’ll ever need. It measures 36” L x 6” dia. and offers a moderately firm density that is perfect for self-massage, stretching and Pilates. Set includes a green, standard-density PRO-ROLLER and the PRO-ROLLER Massage Essentials book. My husband & I LOVE this foam roller! It really helps press tension out of the muscles along the spine and gives your back an AMAZING stretch. It&apos;s not unusual to for your back to "crack" a couple of times as the tension leaves your muscles. My husband was able to get off his prescription pain medication because using the foam roller every day keeps his low back pain in check. 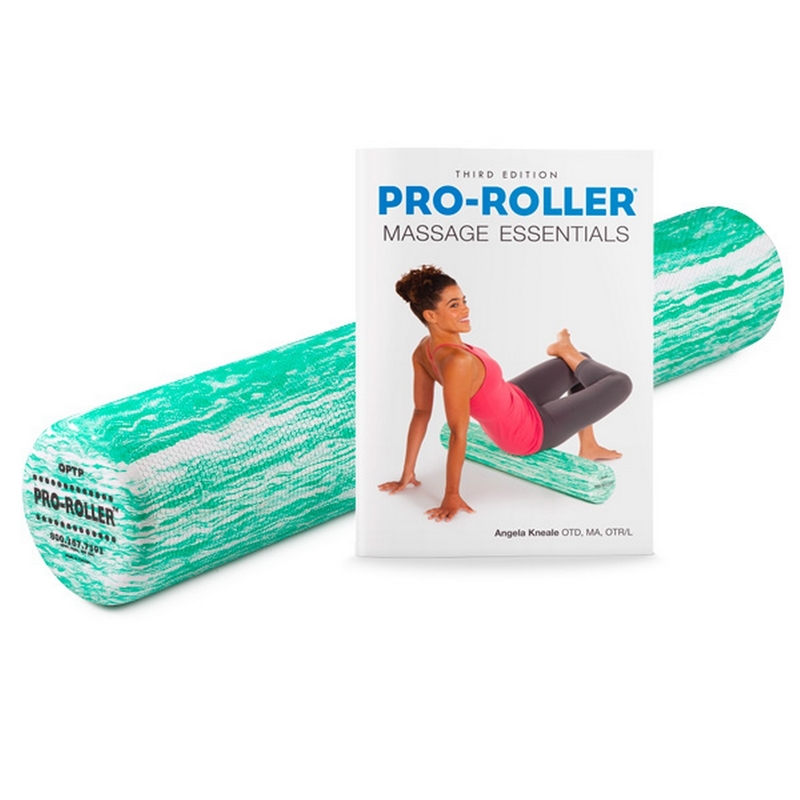 This is the 3rd OPTP Pro-Roller we&apos;ve purchased, we give them as gifts because it&apos;s almost like giving somebody a gift certificate for a massage! It&apos;s a great compliment to any stretching or Yoga routine. Enjoy!